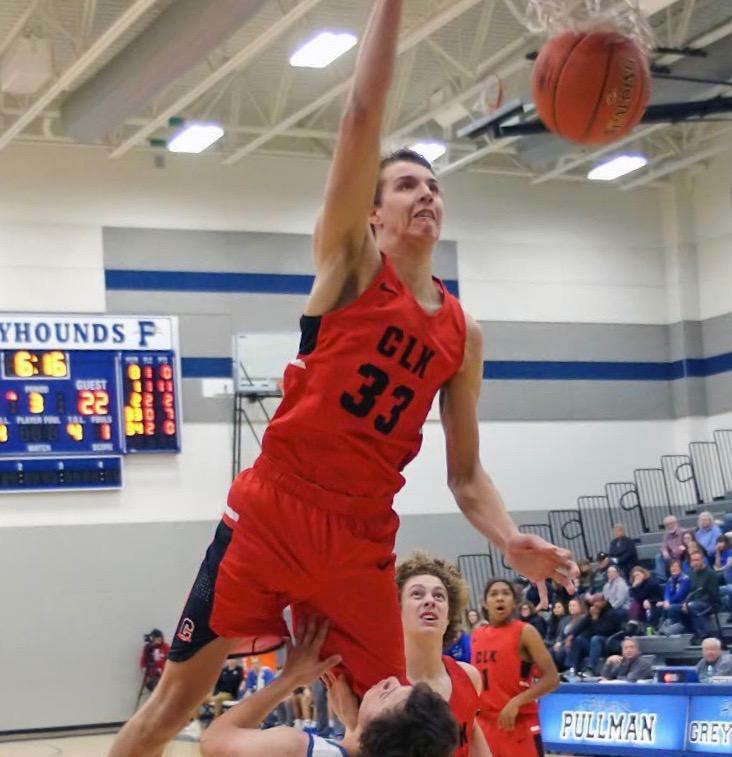 PULLMAN – Brandton Chatfield, a 6-foot-10, 210-pound post who set multiple rebounding records at nearby Clarkston High, agreed to join Washington State’s basketball team and first-year coach Kyle Smith as a preferred walk-on. Chatfield signed a letter of intent at a celebratory ceremony held Tuesday at Clarkston High’s Kramer Gym. Former recruiting coordinator Elwyn McRoy extended a preferred walk-on offer to Chatfield while Ernie Kent was still at the Cougars’ helm. New coach Kyle Smith phoned the Clarkston High big man shortly after accepting the WSU job and honored the initial offer. Chatfield had the numbers to back it up. He played two seasons at Clarkston High after his family moved from nearby Orofino, Idaho, but managed to break a program record with 533 career rebounds, while also setting the single-season mark with 342 rebounds as a senior. Chatfield had 20 boards in a game for the Bantams last season, falling two short of Clarkston’s single-game record. “I think the first thing Brandton brings is a really athletic big guy that can really run the floor,” Clarkston coach Justin Jones said. “His athleticism at 6-10 is next level, and I think the way that he has developed over the last three years with our program, I think really shows what he’s capable of doing over the next four or five years at the college level. During his senior season with the Bantams, Chatfield averaged a double-double, scoring 15 points per game and averaging 12.7 rebounds. He was also a high-level defender/rim protector for the Bantams – two skills that should translate well to WSU, where Smith has assured his teams would place a high premium on getting defensive stops. According to 247Sports, Big Sky schools Idaho, Eastern Washington and Idaho State all expressed interested in Chatfield. He also said he holds scholarship offers from Lewis-Clark State and Pacific Lutheran in Tacoma. Chatfield hopes to be on scholarship by the time his WSU career is over, but said his short-term target is to “get a lot stronger” his first season with the Cougars. “Play really well, then hopefully they offer me a scholarship,” he said. Published: April 10, 2019, 7:36 p.m. Updated: April 10, 2019, 8:56 p.m.